Máire Mac Conghail, B.A., F.I.G.R.S., M.A.G.I. Special interests: West Cork, Kerry and North Mayo. Tá Máire i mbun taighde ghinealais agus staire le breis is tríocha bliain. Fuair sí a cuid traenála san Oifig Ghinealais/Leabharlann Náisiúnta faoi stiúradh Eilish Ellis, M.A., F. agus Gearóid Ó Sléibhín, nach maireann, iar-Phríomh-Aralt na hÉireann. Glacadh lei mar bhall de Ginealeolaithe Creidiúnaithe Éireann (AGI) sa bhliain 1991. Céimí de hOllscoil na hÉireann (Coláiste na hOllscoile, Baile Átha Cliath) í agus ghnóthaigh sí an Dioplóma sa Stair Logáinte, Ollscoil na hÉireann, Má Nuad, sa bhliain 1997. Tá Máire gaftha leis an tSeirbhís Ghinealais sa Chartlann Náisiúnta. I dteannta a comhghleacaithe Paul Gorry scríobhadar Tracing Irish Ancestors a dfoilsigh HarperCollins i ndeireadh na mbliana 1997. Tá sí ina ball de Chomhairle an Irish Genealogical Research Society (IGRS). Bhí sí ina comhalta de Bhord Leabharlann Náisiúnta na hÉireann 2005-2010. Tá Máire ina comhalta de Choimisiún Lámhscríbhinní na hÉireann. 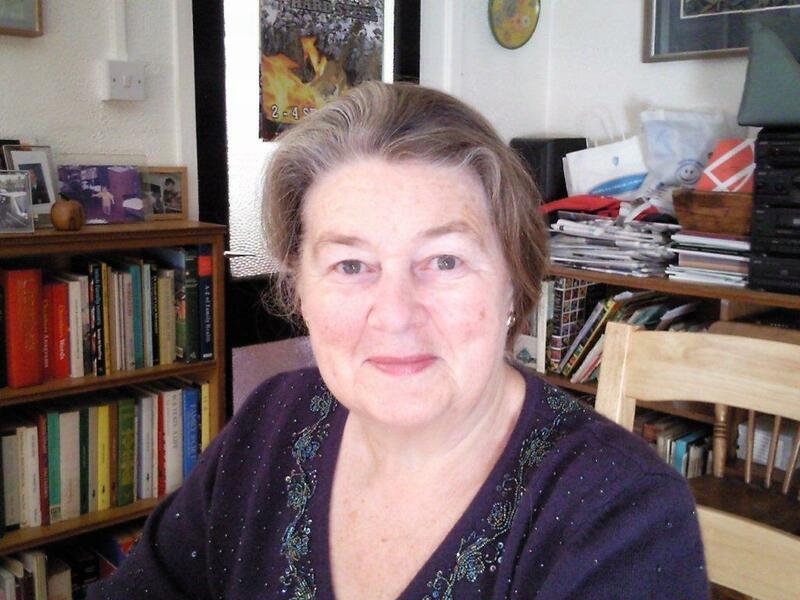 Máire Mac Conghail has been working as a genealogist for over thirty years. She received her training at the Genealogical Office under the stewardship of Eilish Ellis and the late Gerard Slevin, then Chief Herald of Ireland. Early in her career Máire graduated from the National University of Ireland (University College, Dublin). More recently, in 1997, she was awarded the Diploma in Local Studies from NUI, Maynooth. She has been a member of AGI since 1991, and she has taught Adult Education courses in family history at Oldbawn, Tallaght, Kiltiernan and Kilcross, Sandyford, Co. Dublin. As an AGI member Máire participates in the Genealogy Service of the National Archives. She and her AGI colleague Paul Gorry were commissioned by HarperCollins to write Tracing Irish Ancestors, which was published at the end of 1997. Máire served as Hon. Secretary of AGI in 1995-1997, and as Hon. Treasurer in 1999-2005. Máire is a member of the Council of the Irish Genealogical Research Society (IGRS) and a former Chairman of its Ireland Branch. She served as Chairman of the Council of Irish Genealogical Organisations (CIGO) in 2001/2002. She was a member of the Board of the National Library of Ireland 2005-2010. Máire is a member of the Irish Manuscripts Commission/CChoimisiún Lámhscríbhinní na hÉireann. In September 2005 she was elected a Fellow of the IGRS.